The Tulare County Employment Connection will host the 22nd Annual Tulare County Job Fair on Wednesday, September 25, 2013. 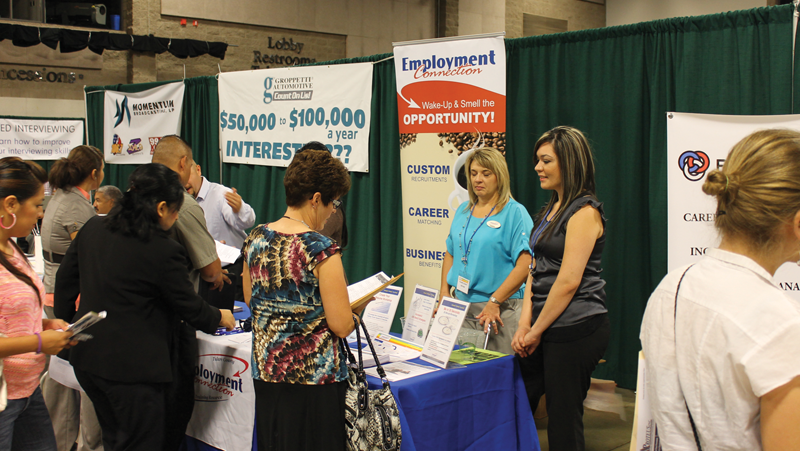 The Job Fair is from 9 a.m. to 12:30 p.m. and will be held at the Visalia Convention Center. Businesses and organizations from throughout the Central Valley will have booths and employment opportunities at the Job Fair. Attending the Job Fair gives job seekers the opportunity to discuss their qualifications and experience with local employers. Interviews will be held on the spot while at the Job Fair. Job seekers are encouraged to wear professional attire and bring multiple copies of their resume. In addition to interacting with businesses and organizations, the Tulare County Job Fair also offers career readiness courses from the Society of Human Resource Managers. Attendees can participate in speed interviews and have their resume reviewed by human resources professionals. Job seekers will also have the opportunity to network with job placement organizations and educational institutions. The Job Fair is free to all participants. Priority of Service will be observed allowing Veterans to enter the Job Fair at 9 a.m. For questions or more information, contact Jarrod McClintick at the Visalia Employment Connection at (559) 713-5000.